Xamarin.Forms provides a wide variety of basic cross-platform native mobile controls, but sometimes you need to step out of the box and build your own. At ComponentOne, that’s our gig: we create custom controls. Soon you will, too. ComponentOne Studio for Xamarin's product manager will walk you through basic, intermediate, and advanced methods of custom control development, Xamarin structure, and platform-specific requirements. Start building cross-platform native mobile apps today! 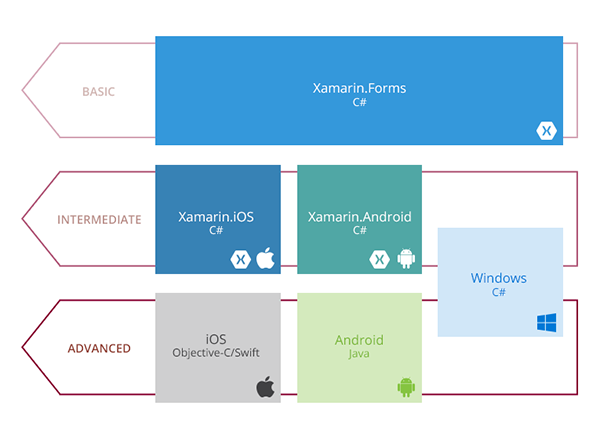 The relationship hierarchy of Xamarin.Forms, the Xamarin.Platforms, and the native platforms. The basic approach is applied at the Xamarin.Forms level, written entirely in C#. The intermediate approach is applied at the Xamarin.Platform level, written in C# with some knowledge of the native platform’s API. The advanced approach is applied at the pure native level, and is written in the appropriate native platform language. 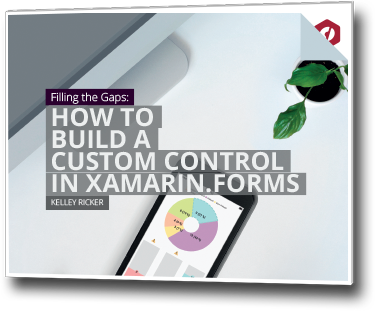 Kelley Ricker, product manager of ComponentOne Studio for Xamarin, leads GrapeCity’s line of cross-platform native mobile UI controls, focusing primarily on the Xamarin platform. He develops roadmaps, works with developers, and develops blogs, code samples, and sample applications. He’s worked in Developer Relations for GrapeCity, and before that, at an Apple Store around the first boom in mobile devices.